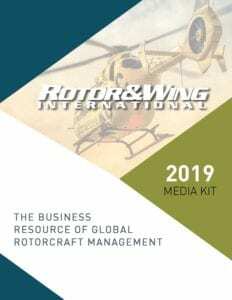 Rotor & Wing International is the one-stop business intelligence source for those who own and operate rotorcraft throughout the world. We deliver insight into and analysis of new aircraft, products and technologies, regulations, safety , maintenance and other issues that impact commercial, military, government and public service sectors. Our community gains the competitive edge that saves them time and money and keeps them abreast of key market trends and developments.